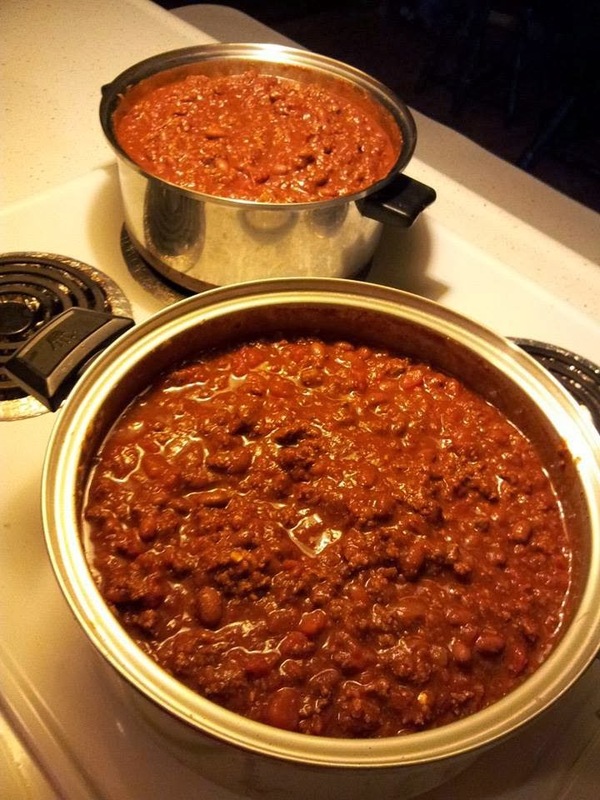 Okieladybug's Scrap N' More: Chili Making Time! Since it was rainy and a little cool yesterday I thought it was time to make some chili. I don't make just a little pot of chili and to be honest if I had bigger pots I would make more than I do! I got a little curious about how much this batch of chili weighs so I sat down and figured it out. Below is the list of ingredients and some of the weights are approximate. This worked out to be about 344 ounces of chili, which is a whooping 21.5 pounds of chili! Now you would think this would last a person a long time, maybe through the winter, but not at my house. Shiane and Chuck love my chili as does Shiane's friend Alicia. Anytime Alicia knows I make chili she comes over, heck she has even just shown up when I was making it and I ask her "how did you know I was making chili" and she laughed and said "I could smell it!". One thing I do like to do is get out my loaf pans and put chili in them. 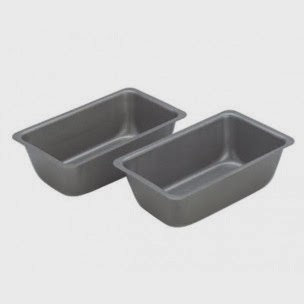 I have two large loaf pans I use and then 6 small loaf pans. The smaller ones are just the right size for a bowl of chili. After getting the loaf pans filled with the chili and wrapped with plastic wrap I put the pans on a cookie sheet and put it in the freezer. I like to use cookie sheets so that I can stack the pans and not have to worry about them falling over and such. This process usually takes about a day for the chili to freeze well. Once it is frozen I drop the pan in some hot water to loosen up the chili out of the pans and then pop the frozen blocks in freezer bags. I use to vacuum seal the bags so they would stay fresher longer but the kids generally eat it fast enough that I don't have to worry about freezer burn. Oh, another reason I like the loaf pans is because the chili stacks nicely in the freezer. Smart thinking! I've got to try freezing chili like that. I'm the only one in this household to eat chili, so I don't get to make it that often without getting tired of it before it's gone. Thanks for the tips. What a Cool idea ! I love it. I will have to do this ! I try to make up meals ahead of time when I can since I homeschool and work from home and life gets very hectic. I don't know a lot of foods I can really freeze well. I have frozen chili before but the containers take up a LOT of space ! Thanks for the great help !! !